Malibu Mysteries. The barbie story-telling initiative gives the iconic doll a new look and new brand narratives that will launch in 2016. The property will be further extended through entertainment tie-in programs, illustrated storybooks and a new chapter book series. 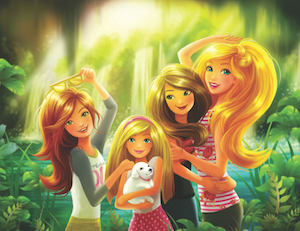 Wallpaper and background images in the películas de barbie club tagged: photo barbie.